The fun of the holidays is officially over, but at least we have award season to look forward to. It kicks off tonight with the Golden Globe Awards, hosted by Sandra Oh and Andy Samberg. 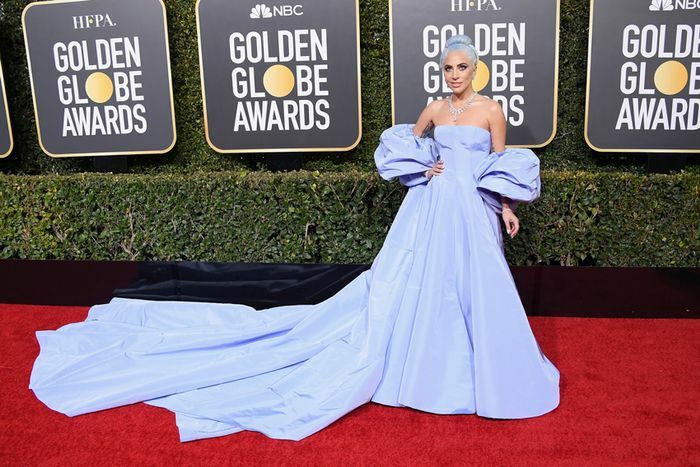 The Golden Globes are notoriously among the most entertaining shows of the season, and the wardrobes of the celebrity attendees often reflect that. Point being, there's a lot of fashion to look forward to this evening. With nominees like Lady Gaga, Nicole Kidman, Emma Stone, Charlize Theron, Julia Roberts, and Constance Wu set to attend and Saoirse Ronan, Lupita Nyong’o, and Halle Berry set to present, there are plenty of jaw-dropping looks in the audience of the Beverly Hilton tonight. Below, we've rounded up the ones that will stay in our memories long after the Best Picture winner is announced. Keep scrolling to see the best one, and be sure to check back throughout the night as the arrivals continue. Next up: the best dressed celebrities of 2018.